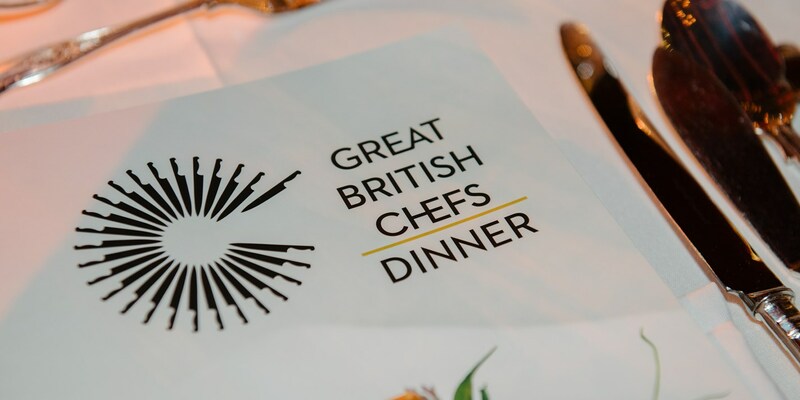 We gathered six chefs and over four hundred people at London’s Guildhall for our annual Great British Chefs NSPCC Dinner, and raised £300,000 for the children’s charity. Take a look behind the scenes and see what happened on the night. The NSPCC is one of our oldest and dearest partners here at Great British Chefs – we’ve been working with the children’s charity for six years now. Each year we invite a group of fantastic chefs to create and cook a course each at a fantastic charity dinner – held at the prestigious Guildhall in the City of London – where all the funds raised go towards the NSPCC’s Speak Out Stay Safe initiative, which equips children with vital tools to keep themselves safe from abuse and neglect. This year we were lucky enough to be joined by not five but six world-class chefs, as the Costardi brothers – Manuel and Christian – joined us from Italy. Born and raised in the town of Vercelli – famous for its exceptional risotto rice – the brothers hold a Michelin star at their eponymous restaurant Ristorante Christian e Manuel and are renowned for their risotto. The brothers cooked their famous ‘tomato rice’ as a second risotto course, following a beautiful, delicate starter of Cornish crab with radish, ginger and yuzu from Hambleton Hall head chef Aaron Patterson. Aaron has held a Michelin star at Hambleton Hall for thirty six years now, making him the longest tenured Michelin-starred chef in the country. Next up was a superb fish course from Warwickshire-based Adam Bennett – fillet of cod, broccoli, almond, seaweed butter, lobster emulsion and potato gnocchi. In between his time helping with the dinner and running The Cross at Kenilworth, Adam has been advising the British Bocuse d’Or team ahead of this year’s competition. Michael Caines delivered this year’s main – a stunning loin of venison with winter vegetables, braised red cabbage, chestnut purée, jasmine-soaked raisins and red wine sauce – before Scott Davies put the perfect finishing touch on the meal with a dessert of British apples, woodruff and vanilla burnt cream and sorrel. Not only did our chefs donate their time and expertise to creating a stunning meal for the assembled guests, they also contributed lots for the auction – ranging from a weekend of hunting and outdoors activities on the Isle of Skye to blowout meals at their restaurants – and helped to raise tens of thousands of pounds for the night. Many thanks to our returning NSPCC alumni – Adam Stokes, Marcello Tully and Mark Dodson – who also donated lots to the auction, as well as the likes of Jing Tea, Blenheim Forge, ProWare, School of Wok, Zwilling, Borough Kitchen, The Clove Club, Harrods and Club Gascon. Thakns to all these people (and many more), we raised a grand total of £300,000 for charity. Special thanks too must go to Mosimann’s, who delivered 420 perfect portions of each course to our hungry guests. Also thanks to Lea & Sandeman and Remy Martin for contributing wine, Champagne, Cognac and whisky respectively, and KPMG – the headline sponsors of this year’s dinner – who made the night possible. In the last six years, we’ve now raised a whopping £1.5 million in collaboration with the NSPCC – a fantastic amount that shows no sign of stopping! Read on for a behind the scenes peek at this special night. Adam did his bit to point out bidders at the far ends of the room to auctioneer Edward! With £300,000 raised, the dinner was a huge success for yet another year!